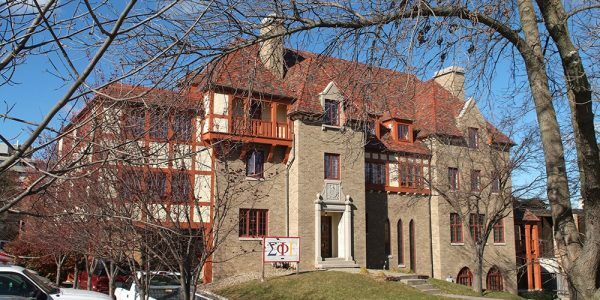 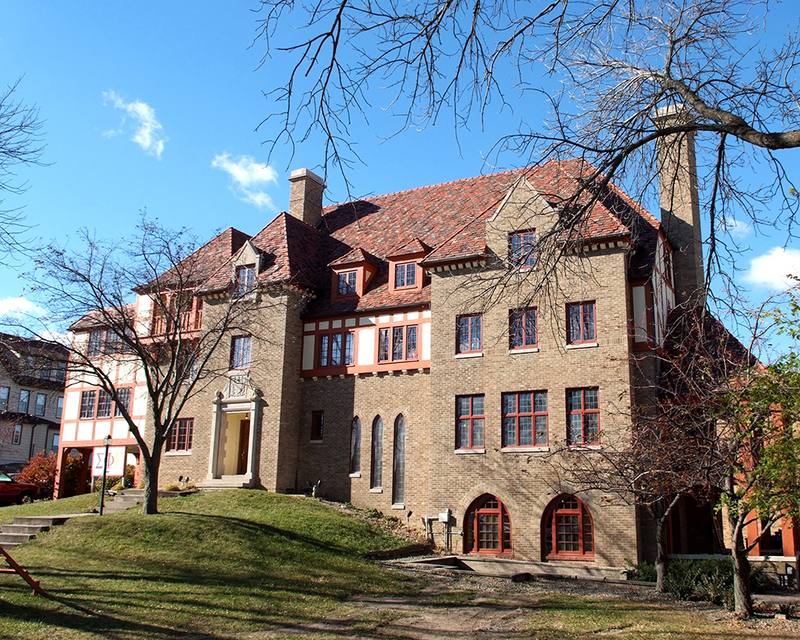 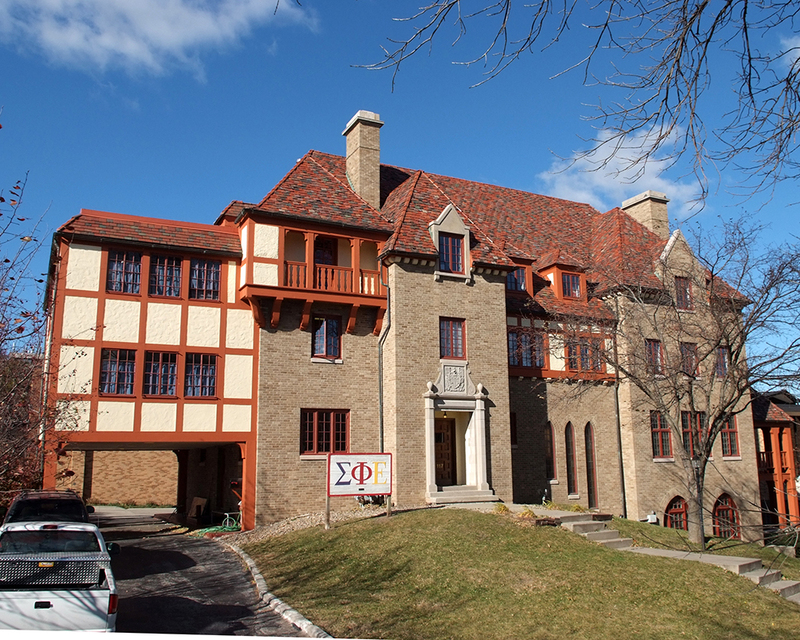 The original Theta Chi Fraternity house was destroyed by a fire. 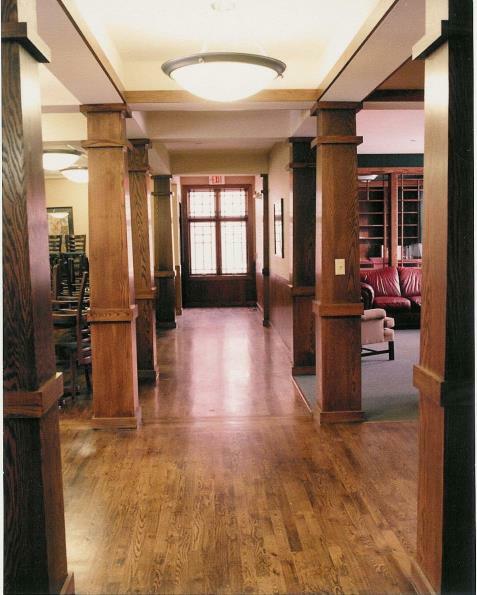 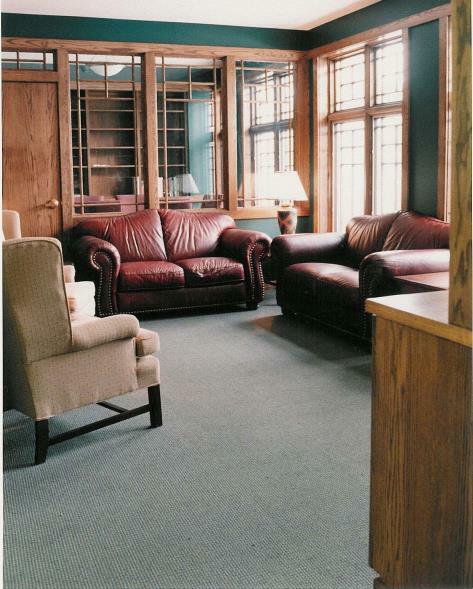 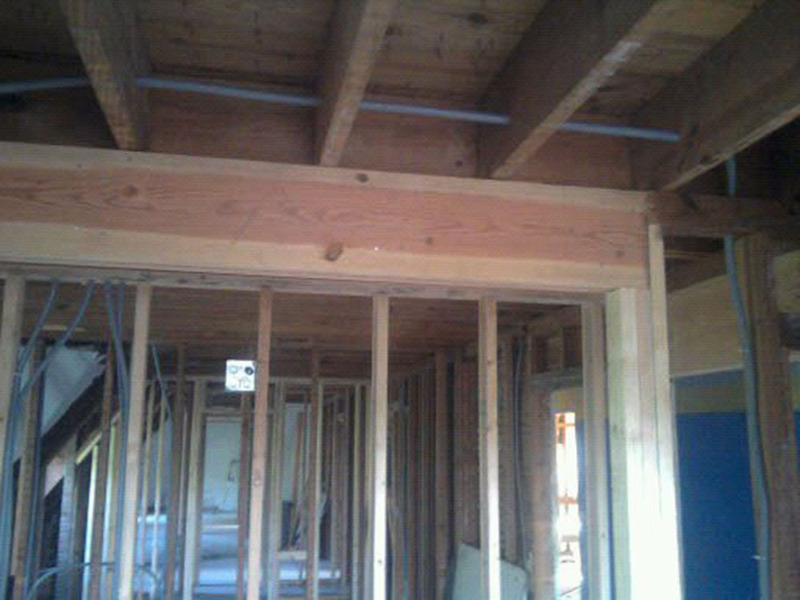 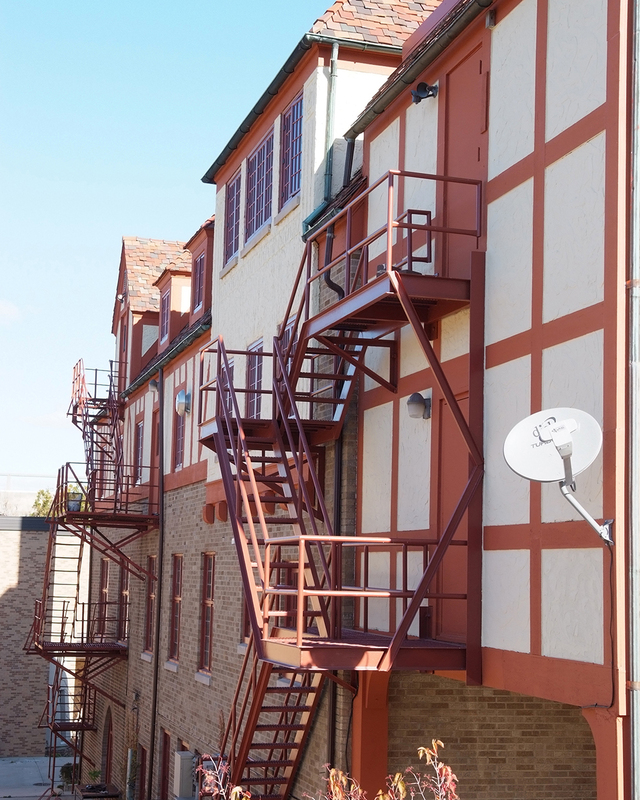 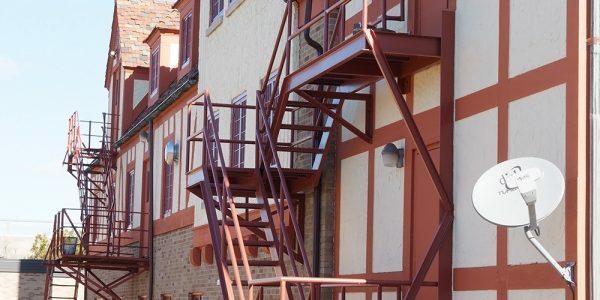 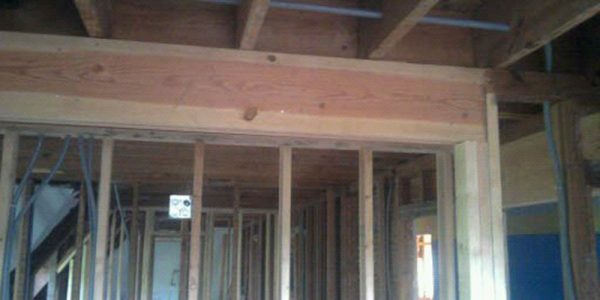 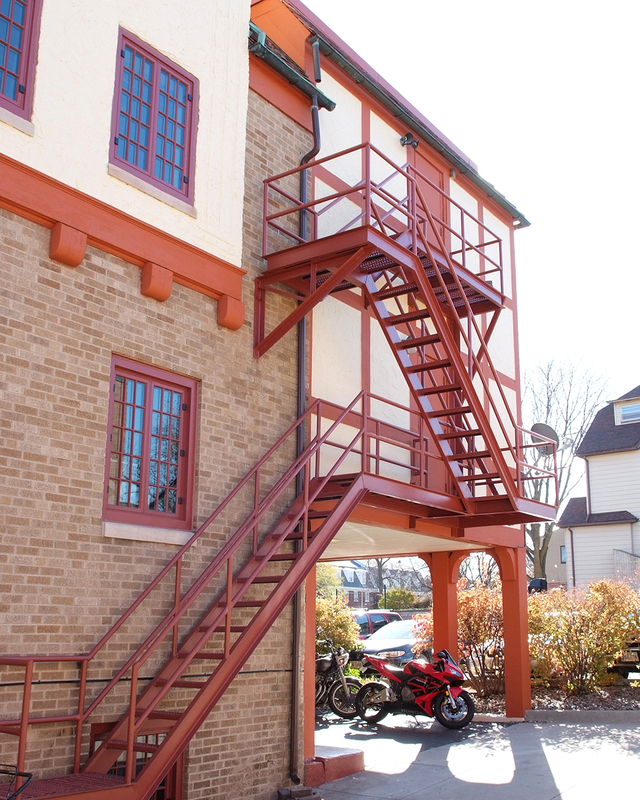 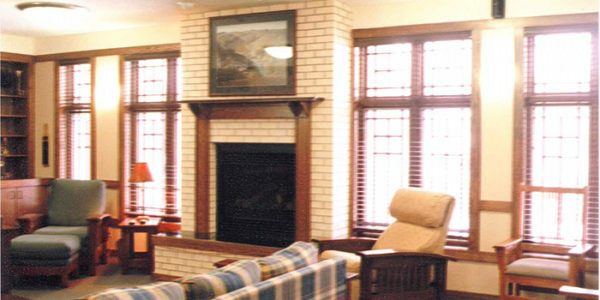 This wood framed three story structure was completed on schedule and has several unique features. 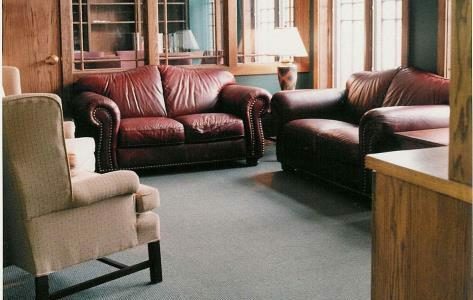 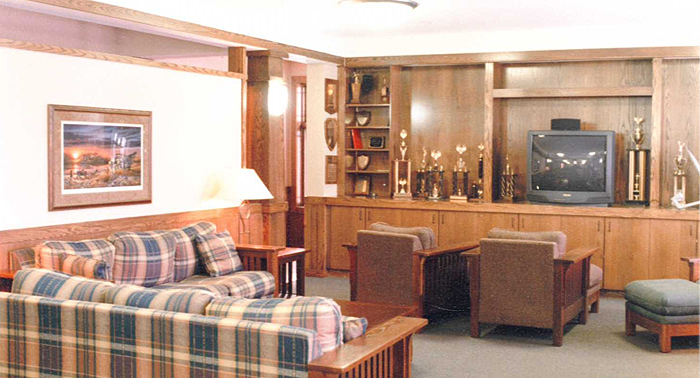 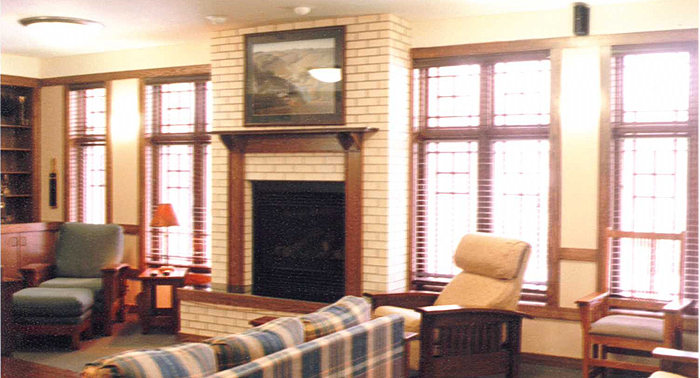 There are two fireplaces in the fraternity. 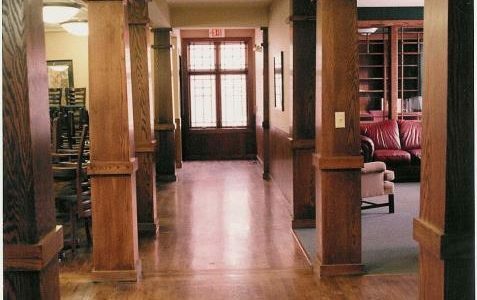 First floor features a wood floor. 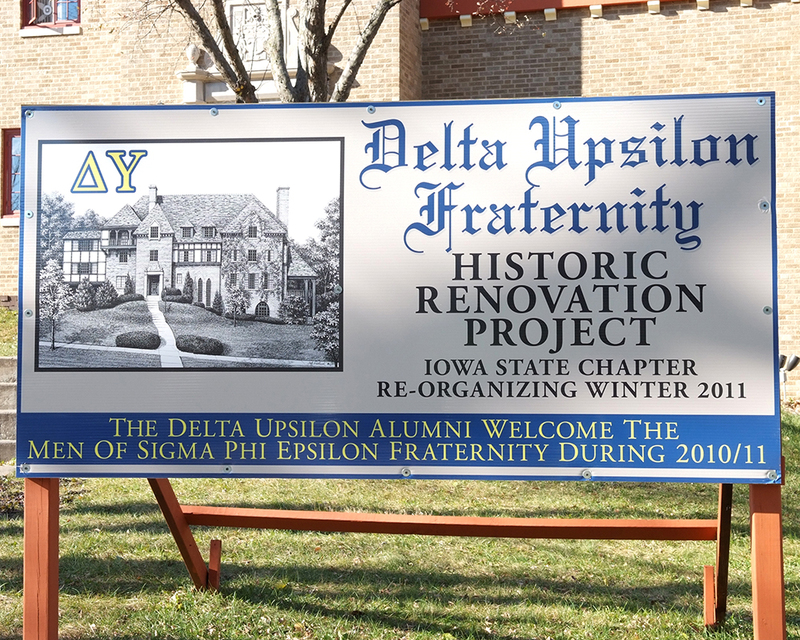 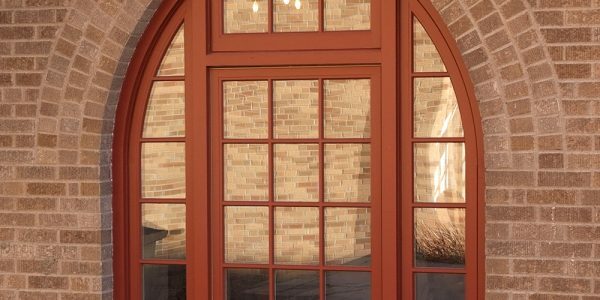 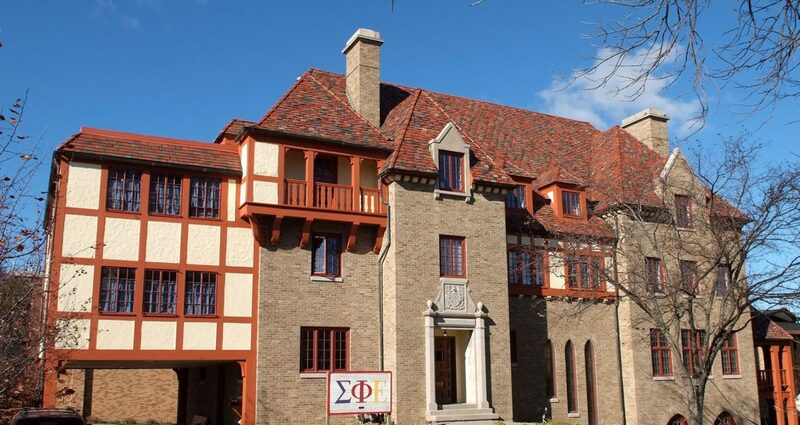 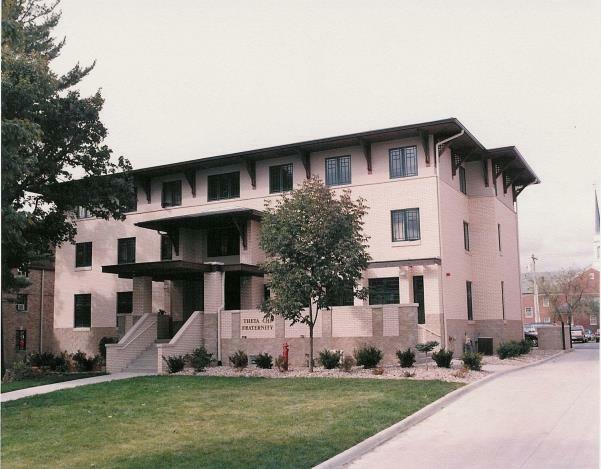 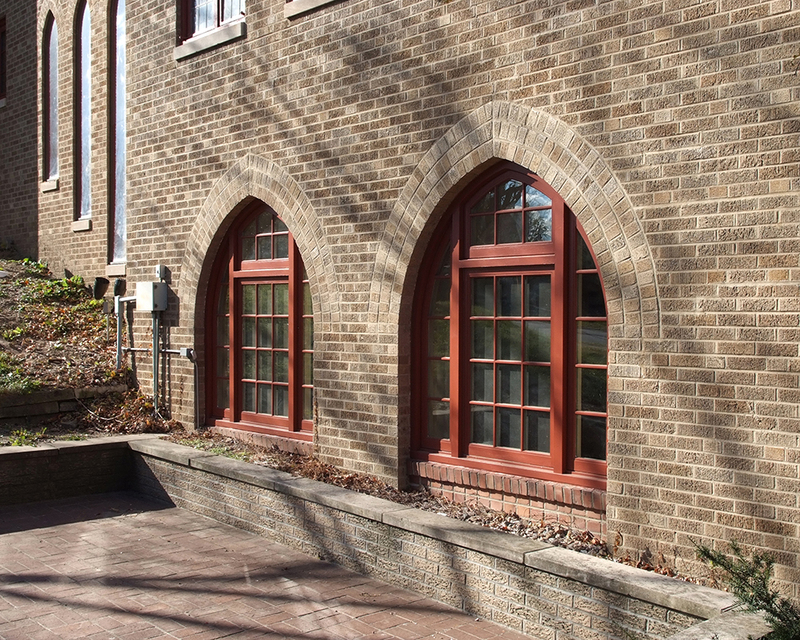 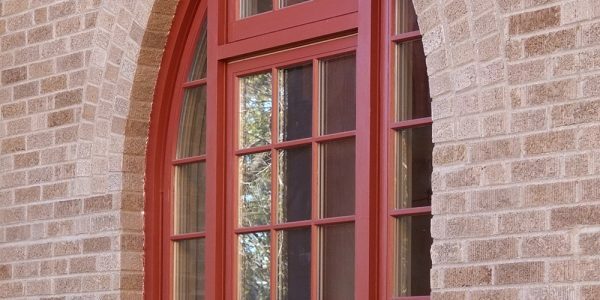 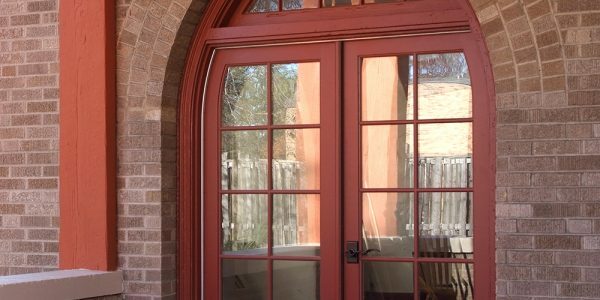 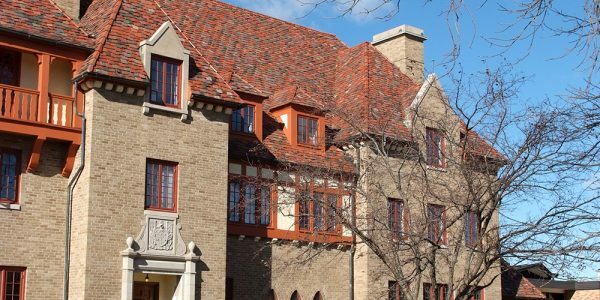 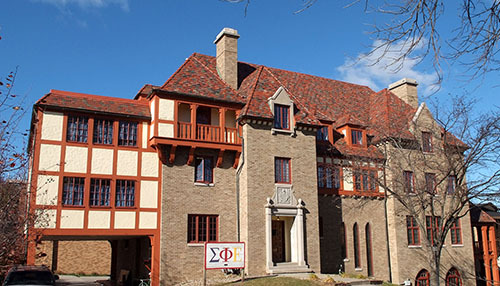 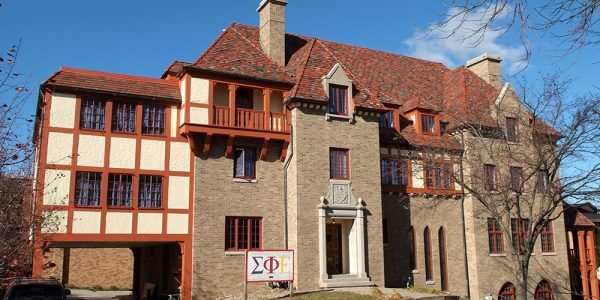 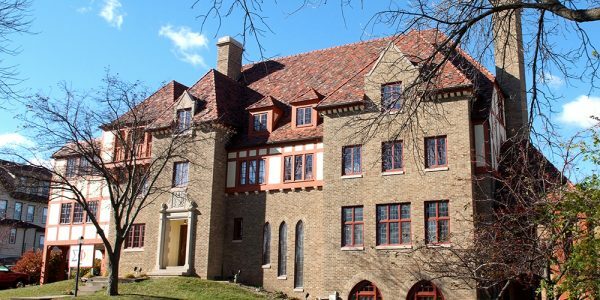 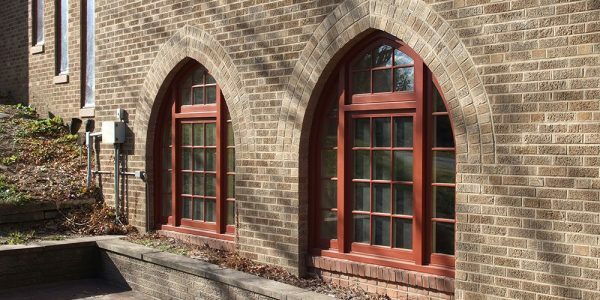 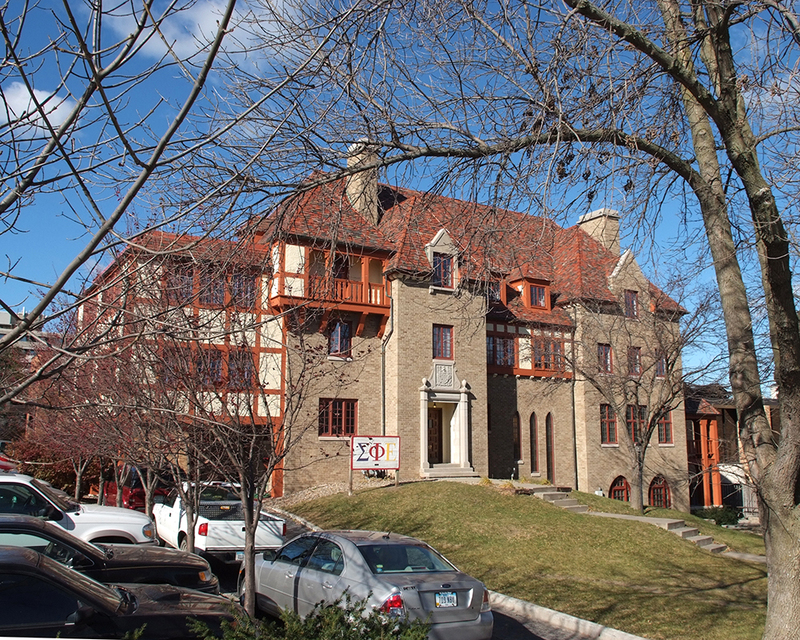 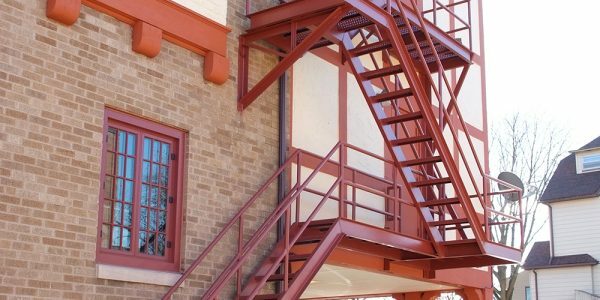 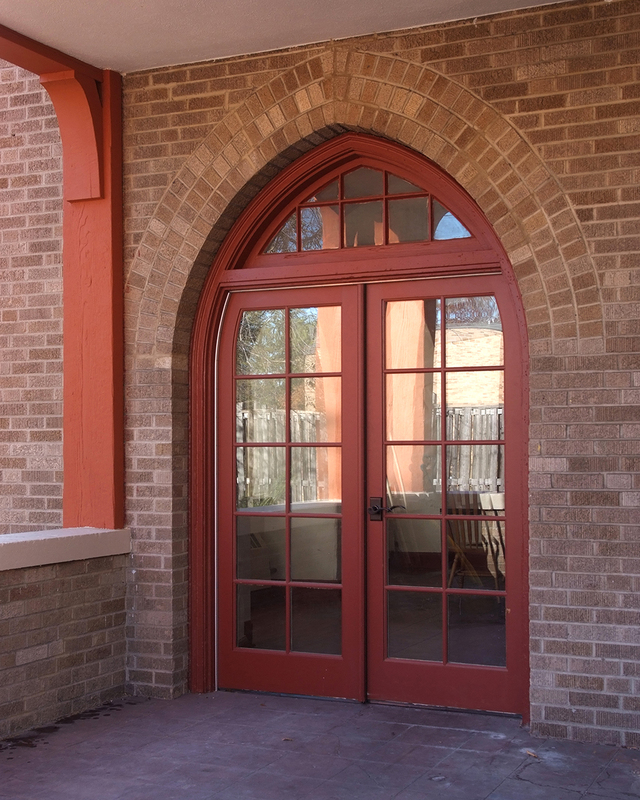 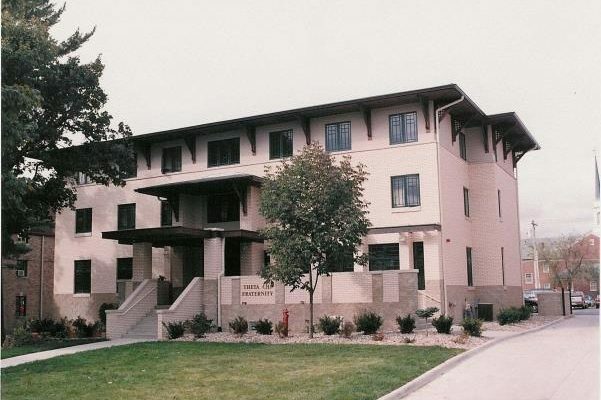 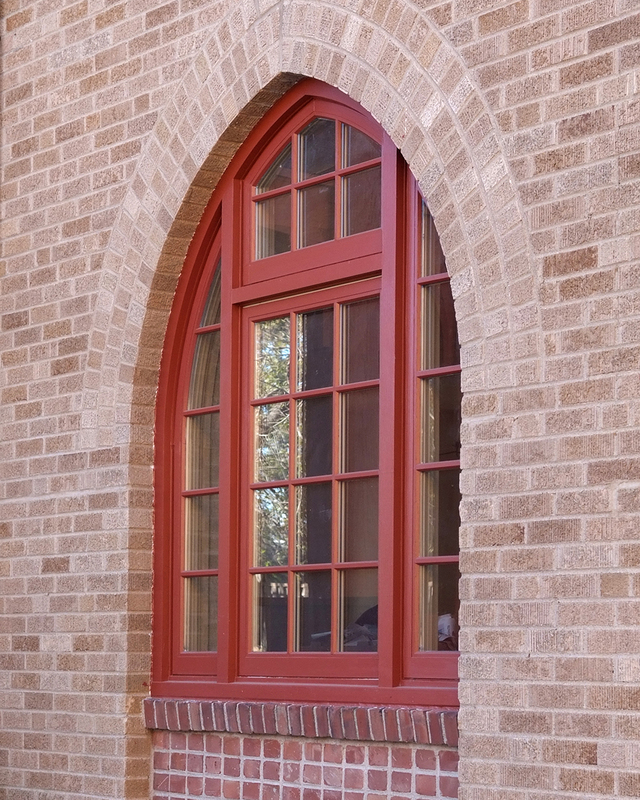 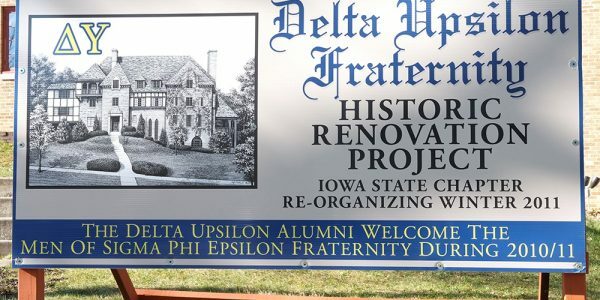 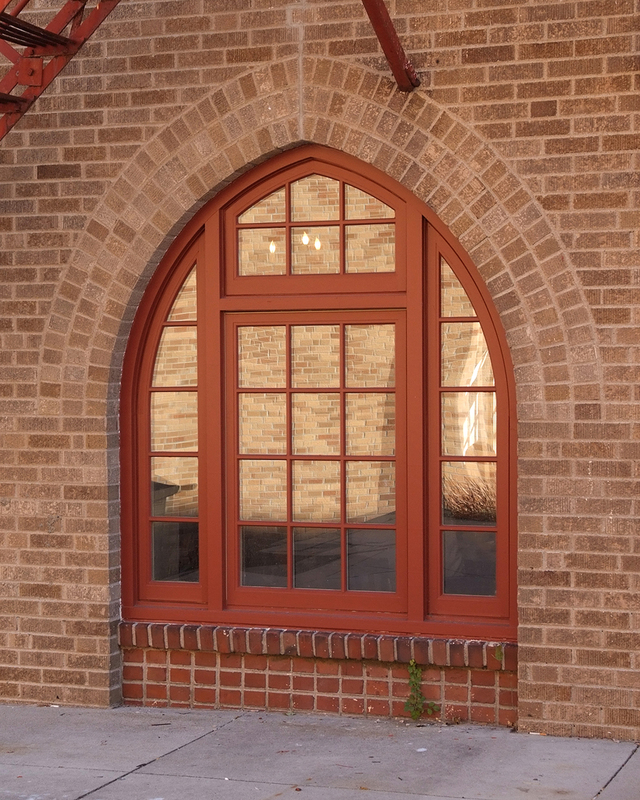 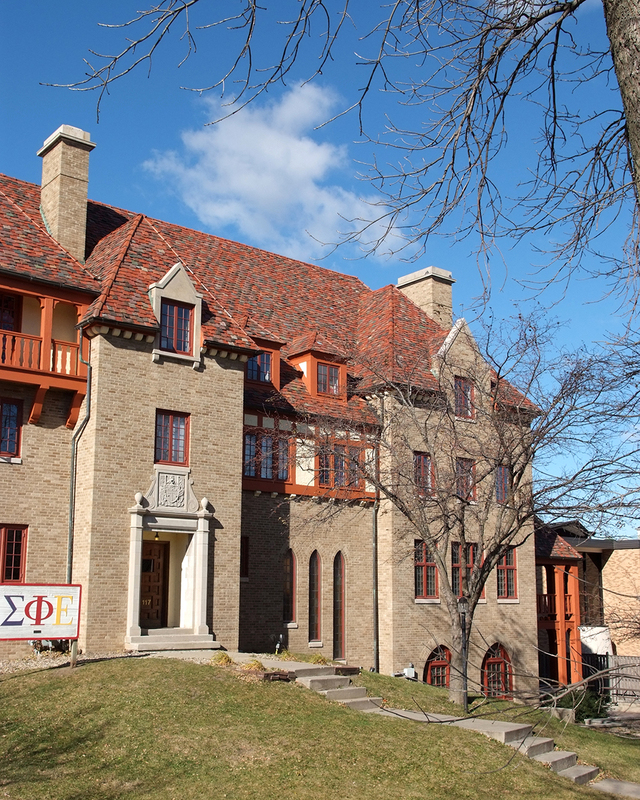 The fraternity selected light colored brick and CMU for the exterior which blends easily with the older fraternities surrounding this new building.